Maruti Suzuki swift is certainly one of the best selling and most popular hatchback in India. The popular car is set to get a new avatar. Test mules of the new generation Swift has been spotted several times. 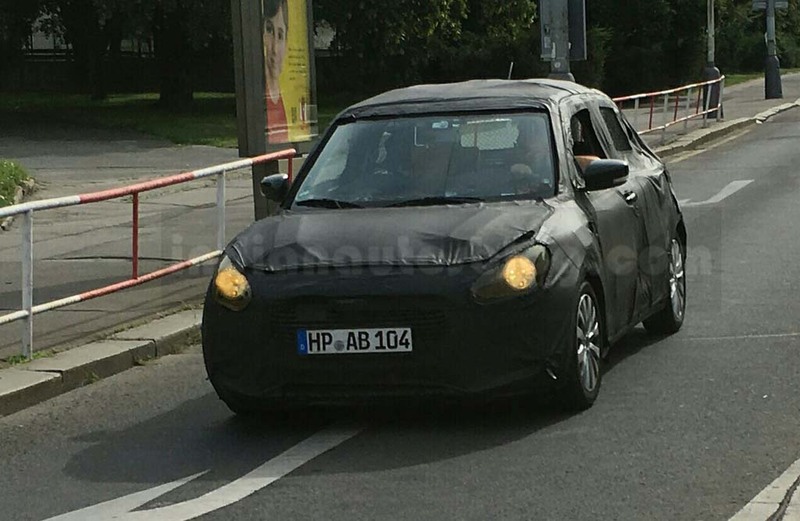 Now, once again a test mule of the car has been spotted testing in Europe. Compare to the outgoing model the new Swift sports several design updates, both at exterior and inside the cabin. The new Swift seems to come retaining the basic silhouette of the present model. It will get a new larger front grille, which will come in a hexagonal shape with honeycomb mesh. The headlamps will don a sharper appearance with LED daytime running lights integrated. Apart from that it will feature a splitter, larger air dams, wider air intake, which together will give the car a sporty guise. 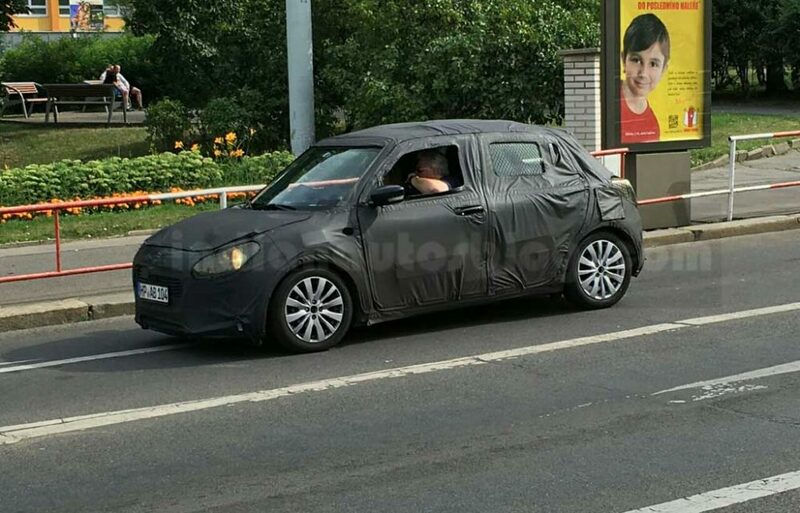 Apart from that the car will sport the rear passenger doors at the C pillar, just like the Chevrolet Beat. Expect the car to feature floating roof design, new taillamps, and new design alloy wheels. The interior will also come revamped with more upmarket look. It will sport new multifunction steering wheel, different looking instrument cluster, while the centre console is expected to come with a large touchscreen infotainment system. The new generation Maruti Suzuki Swift will be based on the Baleno’s platform, which will make the new Swift lighter by 50 kilogram. It will improve the fuel economy and handling of the upcoming model. In India Maruti Suzuki is expected to offer the same 1.2 litre K Series petrol engine under the hood of the new Swift. The diesel variant would get a new engine though. The global Swift gets a 1.0 litre Boosterjet petrol engine and a 1.2 litre DualJet engine. 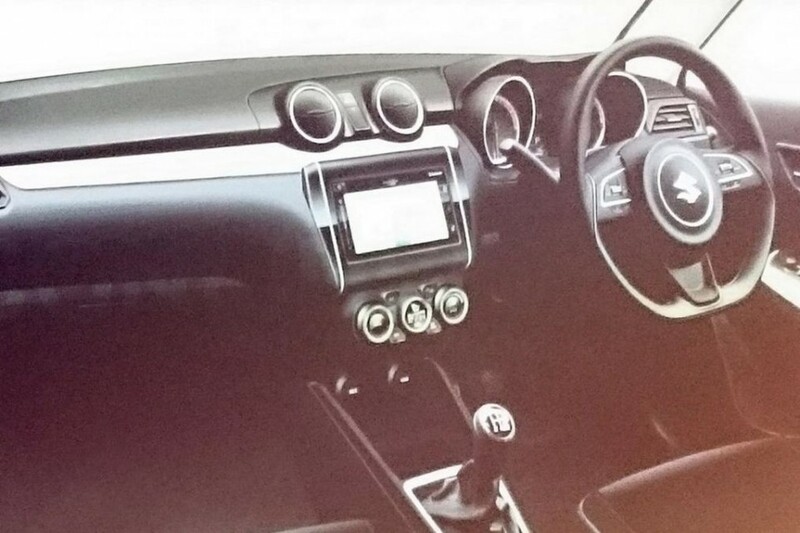 Expect the Swift to be launched in India sometime in 2017. The car will come pretty much safer compare to the outgoing model. It will feature a rigid body and several safety features as well.